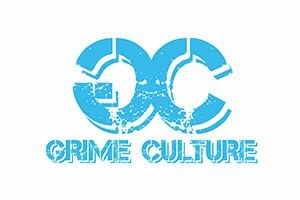 Grime scene is the new up and coming music culture that is taking over England fast. It is pretty much the same as rap just a little grimier hence the Genre “Grime” the beats are lower and the rap is a lot smoother than the original American rap. The Grime scene started off in East London in the Early 2000s it developed from the UK garage scene. Some of the first artist where Kano, Dizzee Rascal, Skepta, Wiley and Lethal Bizzle, they are the originals that made the scene what it is today, now there are literally thousands of grime rappers all over YouTube starting to make some real cash out of it. When the original man started they sorted out grime groups like “Boy Better Know”, “Roll Deep” and “Ruff Squad” which are massively know amongst England’s youth population and is still rising. A lot of people look at the music like the musicians in the videos are thugs but you will find they are just trying to let a little stress out by telling a story. If you really listen and hear what they have to say they are just normal people doing what they do best. In England there is a radio station called BBC 1Xtra and all the top man (getting the most attention on the streets) from around England will get called into the radio show (fire in the booth) to do a couple of freestyles live, this is how big it is getting. The first ever Grime music video was released on MTV in 2014 “German Whip” by “Big H & JME” was number one in the charts for a fair amount of time. So next time you come across some Grime music just give it a real listen and you might like it.